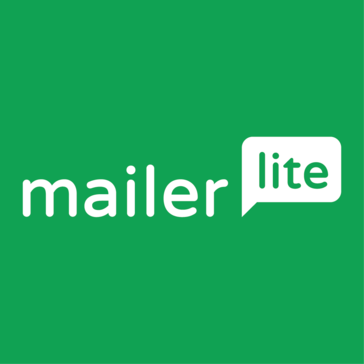 Do you work for MailerLite? Learning about MailerLite? We can help. "My Favorite Email Marketing Tool I've Used"
What I like best about Mailerlite is how user-friendly it is. It is incredibly easy to create emails with their drag and drop editor. Creating email sequences is pretty straight forward, as well. Plus there are plenty of tutorials available to walk you through anything you might need help with. I like that it's free for your first 1,000 subscribers so it gives you plenty of time to give it a good test run for yourself. I find that the pricing model for more subscribers is pretty fair. I also really like that landing pages are included at no additional fee. The landing pages are also very simple and easy to create. I've gained 90% of email subscribers with landing pages for free stuff. What I dislike about Mailerlite is that in the past setting up emails has been kind of glitchy. I would have to save my work, leave the editor area and then go back into it to fix the error. But, they upgraded their editor recently and it's been better. No glitches that I've run across yet. I highly recommend giving Mailerlite a try if you need to send emails/collect emails for your business. It's free for your first 1k subscribers after all and you have access to all the features to toy around with. I'm using Mailerlite for email marketing for my business. I use it to send newsletter emails, for email automation when a new subscribers sign up and for creating landing pages for freebies. The pricing structure is the best. Most campaign software only gives you limited access until you are a paying customer. Mailerlite doesn't. You get full access and then they charge you on a sliding scale according to how many subscribers you have. The monthly fee starts when you have 1000 subscribers. Nothing major. One little thing, though. Scheduling a campaign or sending it happens on the same page, but when you select schedule, the button on the bottom doesn't change. It still says send. I have a date filed saying that it is sending later and it never messes up, but it always makes it nervous to push send. I really wish it would change to schedule. Don't hesitate. It works like a dream and is priced like one. We've loved using it. Marketing is automated. We have it sent up so that when customers sign up on our website, they receive several videos in a series explaining how our company works. They are sold before anyone even talks to them. "Email Service that Will Grow With You"
I love that the automation features (and all of the features, actually) are available on the free version. Also, very user friendly! You have to have your website set up in order to start using it. They do this to avoid spammers - which I totally understand - but it would have been nice to set up a basic landing page while my website was under construction. I ended up setting up the bones of the site, submitting to MailerLite to review, and then going back and finishing the site. I do wish there were more design features (fonts etc.) for creating landing pages. If you need email service without your website set up (at least bare bones), this won't be a fit for you. But even a basic website will meet their requirements. For small online businesses, everything costs more money, and it takes slow, steady, consistent work to win. With MailerLite I am able to do all of the automation features and landing pages I would want as my business grows - and that will allow my business to grow - without having a monthly expense until I reach 1000 subscribers. Even then, the monthly expense is more reasonable than some of the other good email providers. "Great Mass Email Marketing App"
As someone who needed an app that allowed me to send mass emails occasionally to a large organization, MailerLite was easy to use and helped me create a professional and aesthetic layout for my email campaigns. It was difficult to try to send a campaign to only specific recipients — every time I wanted to send out a campaign, MailerLite prompted me to send it out to my entire address book. It's a great app for people who want to send out mass email campaigns to perhaps an audience of less than 1,000 people, especially since it's free at that point. MailerLite was great for helping me to send out monthly campaign letters advertising various internship and job opportunities to members of my organization. "Good, but has its flaws"
The platform does not limit how many contacts you can import to your profile, different from something like MailChimp.This means that you can have your email database in one place even if it exceeds your pricing plan, which I find really convenient. The platform only starts counting emails towards your pricing cap after you send the emails. Also, the platform provides neatly designed email templates. The support team is really helpful, you can message them on the platform directly and they are pretty quick to respond. The platform is quite slow to import new contact lists, it does get stuck quite often, then you need to wait for about half an hour or ask the support staff to help you. Some menus are not very user-friendly, in some situations it's a hassle to get the platform to get you to a place you want. Definitely worth trying out since it has a free plan. There are some issues with the platform being down once in a while and some data import issues, but overall good mass email platform. Mass mailing, subscriber tracking and subscriber interaction are the main problems it has solver. It is much easier to let people know about upcoming events and new product features with this tool. We've seen an increase in business leads since using MailerLite. "A complete email marketing suite at a fraction of the cost"
MailerLite offers a full-featured Mail Chimp or Constant Contact competitor at a fraction of the cost. Their support is in Europe so the hours aren't always convenient. MailerLite is a perfect solution for small to medium size businesses. If you need to send out a few emails to your list a month or want to automate sending your blog out to your readers, MailerLite is the most affordable and easy to use platform on the market. MailerLite has given me a way to send out 100k emails a month to my email list automatically via their RSS feed feature. I rarely have to login to touch the campaign - it just goes automatically. In addition to the time-saving RSS feature, their email capture features have helped me add over 1,000 email addresses to my list. Again, these features come with the bigger name products, but cost much, much more. As a social media marketer and tech specialist for start-ups, I look for software's that are user friendly and packed with value for my learners. MailerLite has all of these and more. I love the added landing pages feature, automation and integration features it has with WordPress and WooCommerce. The only dislike is the lack of landing page templates available. MailerLite is a great tool for beginner's or those with a small list looking for a user friendly email service provider with landing pages and automation features. With lots of useful blogs and tutorials you'll be ready to start building your email list in no time. . I help to educate learners create optins and set-up their email marketing sequences. MailerLite it makes it so much more straight forward to have all these amazing features for my start-ups to understand and afford. Their customer service by chat is slow - it takes about 5 minutes or more to get a response and there is no bell to alert you that they have responded. They don't have a way to see why people are not opening the email. I'm not sure if the email is getting into their inbox or not. The free version has all the features that a paid version has so you really do get to try out everything. I needed a email program with all the features without charging me for every little thing. I was with Get Response for quite awhile and they started taking away features that were included in my monthly fee and wanting to charge me for it. I heard of Mailerlite being free for a basic account with ALL the features and I thought I should definitely try them out. So far, I am able to get see my new signups increase and I didn't have much of a learning curve with mailerlite. I would say the biggest benefit is lots of value and very affordable. "Mailerlite is perfect for small business and limited budgets!" Mailerlite is very easy to use, and it's easy to do things like create segments, run reports (not robust but general) and the best part is, it's hundreds of dollars less a month, than other email marketing solutions out there! Amazing value. I wish the reporting was more robust. Although for the pricing, I think it's fair to say I am getting what I pay for. Although I'd be likely to pay more for more in depth analytics. Better reporting! I'd also like to see more high level stats and analytics, as well as reporting in individual campaigns, to give me visibility on where to put more effort and what isn't working. By utilizing things like segments and groups, we have been able to target our campaigns and we have seen excellent ROI on this element. "Don't let the price blind you"
Honestly there's nothing I like about this platform. I originally looked into working with them because I liked that they offer landing pages. Their customer support is a joke. They only seem to return emails in the middle of the night which then leads to yet another day of unsolved problems. Mind you I live in the middle of the US so it's not like I'm in a wonky time zone. Then THEY failed to check my fully working site and claimed it's "inadequate" (it's a entrepreneurial blog with multiple posts and pages) so they put me on probation and limited me to 500 subscribers, while aware I have 4k+ I'm trying to migrate from a different CRM. It was a total circus and their incompetency just blows my mind. I wanted to house my landing pages with my CRM, which is why I originally thought to switch to Mailerlite. The price and the support. The easy and comprehensive platform. It's really a great mail service considering the quality, the cost and the support. I would highly recommend to every small and medium size business. When I was starting with my e-mail campaigns mailerlite was 10th best e-mail service provider. I am sure they are higher in the scale by now. I was sending my daily newsletter to more than 20,000 subscribers. The price is great, the support is great. For having e-mail on gmail and yahoo is probably the best mail service. The only weak point is their restriction to send inbox e-mails to Microsoft server. They are rejected. "The best email marketing platform when you're on a budget or have a small list"
The ease of use, the templates for both the signup forms and the emails. The user interface and the analytics are pretty good too! It is perfect for my needs, and Mailerlite is continually adding new features. Hopefully, I will never outgrow them because I genuinely like the product. It is not possible to integrate it with sales platforms to make sure you don't send an offer to someone who has already bought the product. If they add this to their list of features I will be able to grow with them! When you start out with email marketing, and you are growing your list, in my opinion, Mailerlite is the best platform. Free up to 1000 subscribers and no restrictions on functionalities. It's the prefered platform I encourage my students to use. When you need more features (it already is packed with features! ), you might want to switch over to a more expensive platform. But Mailerlite is continually improving and adding things. Support is excellent too, and so is the documentation. Sending emails to my subscribers, the opening rates are great. Creating a sequence of emails is easy. The forms look great on my website and are easy to adjust. Even landing pages and pop-ups are included. "MailerLite offers more than Mailchimp - for free!" You have full functionality up to 1000 unique subscribers, which includes building workflows and segmentation of lists. MailChimp may have. a free plan as well, but does not offer access to all functionality like MailerLite does. For that reason alone, and the super easy user interface, i would recommend MailerLite. Building a email sequence for clients, makes it so easy to get them onboard and continue their own maintenance after the initial setup. "Wonderful application and with great support"
MailerLite is a very easy to use, yet powerful application. There is a lot you can do with the program. Lots of flexibility and they have live chats when stuck. Live chats are helpful but slow. I know they are a small company though. MailerLite is free up to 1,000 subscribers which really lets you try out the application first and make sure it is a good fit for your company. MailerLite is being used to house my subscribers list as well as sending out my emails for my many campaigns. "A cloud mailer for all the today's work newsletters"
The customer database is one of the more flexible ever seen, from the one-field database (email address only) to the most complete. It's flat, mailers are not CRMs. Maintining it, importing and exporting it's a piece of cake - even if all can be always enhanced. Editing a customer record has been recently improved, and now it's simple to keep the history of subscriptions and unsubscriptions. The email text/image editing is full of options and very simple to use. Everyone can get super results with little knowledge. Never broke a session in more than 2 years I use it. The validation procedure changes often, even if it now make sense. It's free for small database use (up to 1,000 users), great for non-profit, startuppers and personal use. The pricing plan is very honest and simple. I use it for all the consultancies I'm involved in, and for small personal projects. It's very effeicient in getting the uesrs answer, disabling automatically the bounces. A must ! "Intuitive, great automation, useful for delivering lead magnets"
Automation with MailerLite is very simple and straightforward. I'm able to create multiple, tiered automation paths that flow into each other for various lead magnets. I've had several errors where the subscriber list is re-indexing and I was not able to send emails. For a time-sensitive message about a limited-time offer, this was a huge hindrance for my business. Support was not responsive about it, either. Don't expect stellar support, and be ready for them to hold your account in limbo when you first sign up if they arbitrarily decide your website doesn't meet their standards. I've been able to build a large list of leads and potential clients thanks to the automation and lead magnets. "Great service for a low budget"
I like very much since I have moved to MailerLite that for a lower price I get the same open rate on my emails. I am paying now with 60% less than his competitors and this is a very big advantage for me because we have a big list of around 50.000 subscribers. I also like that I can have multiple accounts using a single admin area. Another interesting option is auto resend feature which sends after a few days another email to whose subscribers who did not open the first e-mail. Sometimes when I try to edit a newsletter it takes 2 minutes until it loads the editor. I have to refresh the editor several times until I am able to edit the newsletter. The reporting feature could be improved. If you want to save money than MailerLite is a very good alternative. Please note that open rate id dictated by your list and not your email provider. If you have good emails than your open rate will be very good. We are using mailerelite with optinmonster and we have some integrations with zapier. All these together are very powerful for us. We are increasing our list each day and we are very happy about this. "I'm using in for more than year"
On the start my web site was just like a web-form. But MailerLite allowed me to use the services. And now my subscribers base is bigger. On the last week I faced with trouble of delay and this one was solved in a minut. Seriously Cant think of anything so just go with it. email delivery issues , Mail chimp and all those other emails had dificulty with Network solutions btu these guys work well with em. "Effective Email Automation and Landing page"
MailerLite includes effective email automation and landing page. MailerLite helps grow subscriber list to a next level. It manages subscribers really well. It is an awesome email marketting platform for revene growth in business. With our large customer database, EmailLite gave us an astonishing management for them. Our subscribbers are getting the best from it. We recorded an apreciable gains. It got us more connected to our customers. "Simple email marketing software to use"
Well, we can create pop ups and the landing pages. It can help achieve our business goals. They have a really nice price and features. Every month they roll out a new feature that puts them closer to the big player, aka mailchimp. I would like to see more payment options (paypal) and more personalization tools. Also, every upgrade requires an approval from the support team and it can take time. They keep improving and launching new feature and the price has been the same since forever. Completely honest and amazing support. They cut my email marketing cost in half and kept most of the important features I was looking for. "Product & Support is good but very Unprofessional Customer Management"
One of the main factor we liked most about mailerlite is their pricing, they are very cheaper than their competitors. We liked the product and its simplicity of usage. Their drag and drop email designing tool is also much simple to use and readymade templates. Unprofessional Customer Management. Be prepared to get your account closed without any prior notice or specific reason. If your business has multiple products than it will be complex to use mailerlite as they have complex system. Their API is very outdated, you will not find API references for latest technology stack. You will fine very hard time if you are using Node js or any recent technologies for your project and wants to integrate mailchimp APIs with it. Some of their functionalities are very hard coded which makes it harder to be customize the way you wants to use it. Be prepared to get your account closed anytime without any prior notice and any strong reason. Email Marketing for our eCommerce Retail Clothing business. We are saving money by using Mailerlite. Overall its very easy to use and very simple product that does not required much more learning time and understanding of some complex things. "User-friendly and good for beginners." This software is super easy to use. This was the first mass mail software that I have used and I found it easy to navigate and use. I also like how you can see what percentage of people have clicked on the email so you can see who you're reaching. The percentage of people clicking on the email is low, assuming the emails are going into spam. I'm currently trying to figure out a solution, but no luck so far. It saves lots of time when trying to send out mass emails. It also lets you personalize your mass emails, making marketing easier. I absolutely love the option of developing landing pages as part of your e-mail marketing service. The designs are attractive and easy to edit. I haven't come across any major issues with this service. I am still using the free version. It's a great option for those just starting out on an email marketing platform. There is no charge for lists under 1,000 subscribers. I've been very pleased with the options and the quality of the service. I'm working on building an e-mail list and this service has been helpful in setting up my different categories and automations. It is simple, easy to use and does your job neatly without charging you Enterprise level prices. If you are using MailChimp, this is an amazing alternative. It is NOT an alternative to some of the more advanced email software out there. It can only do basic email capture and automation but it does it very well. If you are trying to sell something via email marketing with advanced behavioral triggers etc, then this is not the product for you. I might look at something like AutoPilot. Advanced automation not available. Deliver-ability might be a issue, but they are doing a good job of controlling spam. If you are looking for a MailChimp alterantive and is on a budget, then this is the right email software for you. If you are starting out then this is the right email software for you. If you are looking for advanced behavioural targeting and selling something on email, then no, this may not be the software for you. Great for bloggers who manage lead lists etc. Email newsletters and lead capture on websites. "A very simple campaign & template creator and also a straight forward and robust emailer"
Coming from another competitor, I wanted to lose no time getting hands on. I found the system very easy to use and truly effective. I have been able to design easy and effective campaigns and templates to promote my services among the contacts I have, thanks to MailerLite. "Affordable for smaller companies, love the drag-and-drop features!" Mailerlite is extremely affordable, up to the first 1,000 subscribers are free. You can send as many emails as you want every month and you can delete and add subscribers easily. I LOVE the drag and drop email builders. They are so easy to work with and they look very professional. I also enjoy that they have many templates available. My readers seem to enjoy their emails and I haven't had any major complaints. They have all the features that I want and I've implemented an opt-in box on every page of my blog. Since moving to Mailerlite, I have increased my subscribers by 1000% since I started using Mailerlite. Sometimes my customized pages don't display properly. For example, I have a page setup that shows after someone subscribes and it has a "wood" background. I don't know why but the background never shows up. The page still looks nice, it just doesn't match some of the other pages I have set up. Not a huge deal, though, and I doubt my readers notice. Run a test campaign with a subset of your subscribers and see what you think. Look at the features and see if it has everything you need. If you're a blogger, it's a great starting tool. Try out the drag and drop email builder. I am able to email my readers with new blog posts as well as personal updates that I don't post anywhere else. I have increased my email subscriber list by 1000% since I joined Mailerlite. I have it set up to display on every post using PopupAlly (a highly recommended Wordpress plugin, it doesn't just do popups). Ease of use with campaign outlay and the different options of sending emails. Such that you can choose to do A/B split campaigns or Autosends. Not being able to copy campaign type. Such that when you copy a previous campaign you sent, you can’t change the way you sent it (auto resend or A/B split). Auto resend email blasts for people who missed the first one. I love that I can change the design of our mailings up each time I send it out. This aspect allows us to keep it interesting and relevant. I dislike that adding video clips/gifs is harder than adding photos and images. We try to share moments with our alumni through these emails and sometimes short video clips are best. Try it out! It has made our monthly newsletters a breeze. We are using MailerLite to reach out and maintain contact with our alumni organization members through monthly newsletters and updates. MailerLite is a wonderful format for designing and sending out mass mailings. "The mailing tool for startups"
We were attracted to MailerLite because their free tier is way more forgiving than the competition and then, once you jump into paid, it's extremely reasonable. Not a lot. API docs could be a little better? Maybe. MailerLite is active. They recently rolled out an update regarding the way the segment and display your users. Nice to see changes being implemented and thought going into the product. Save your money. MailerLite works. MailerLite provides ALL the functionality of the "bigger guys" at a fraction of the cost. We're able to use the API to send our email signups directly into the platform. Segmentation. Etc. Zapier integration is nice too. I found mailerlite when I was searching for an alternative to the high cost options like mailchimp and convert kit. Easy to use, easy to train on and a great price! "MailChimp Has A Major Competitor"
Mailerlite is extremely simple to setup and use. This email platform is definitely worth the time to setup and try. You'll love how easy it is to use. I'm able to send my clients professional letters and newsletters. Creating and setting up landing pages is quick. It's about half the price of MailChimp and actually runs faster. Seems to have a simpler interface too. Definitely will be using it on more projects. Their chat support is available for everyone too, not just paying customers. It only lets you have up to 1000 subscribers for free (MailChimp allows up to 2000). Definitely give it a test run first. You can have up to 1000 subscribers for free. Needed to send a bunch of marketing emails that were personalized and had open/click tracking. I've been very pleased. "Very disappointed, much lower open rates than Mail Chimp and Send Grid. I do NOT recommend "
Unfortunately I had a very bad experience with Mailer Lite, I experienced the lower open rates from the 3 mailing providers I have used (Mail chimp and SendGrid) I was getting 20% open rates, when I changed to mailer lite I got average of 10%, with the same type of newsletter. Additionally when doing pre sales questions I got incomplete information, to bad for me they also don´t offer refunds, I just canceled my account as I was not able to trust them after I found I got incomplete information and realised much lower open rates. I guess Mailer lite is apparently cheap, but I ended up losing full year payment. Lower open rates, something was wrong with email deliverability. Additionally I got incomplete information when doing a pre sale question, If I would have got complete information I would have not bought the annual plan. After I realised I could not trusted them I decided to cancel my account. "Just an average Email Marking Solution"
If you are looking for Subscriber-wise email marking solution. I will say mailerlite will be the best for you. But their service is pretty expansive to me. It's a good service for startup, easy to manage subscriber list. Many tools and plugins for list building. Facebook, hosted website, wordpress and API access were my favorite for list building with them. Easy to manage and create campaign, drag and drop editor, rich text editor or you can use your own email template. Tracking was good as well, link track, open track, click track. Recently they support AB testing and autoresponder. Also allow you use your own domain for sending. So far so good. Unique subscriber based and no option to reset subscriber, even payment plan renewal. And API not that affective. Email Marking and Email Promotion. List management would be the top benefit I am using on their service. Esay drag and drop feature for putting together a campaign. I like the different options it gives you for building your newsletter. Sending to unopens can be a little tricky, but not hard. If you want a newsletter service that's easier to use and lighter on the wallet, use Mailerlite! I'm able to reach a wide audience for a low price. "Solid software for email marketing"
I like the design of the panel, it look like apple solution. Price are awensome, better them Mailchimp. Alove to A/B tests, resend option. And for lasthey have probably the best email editor. Eveery noob can create now preaty designed emails. Its really cheap solution with high quality. I was use them from 4 years and it's great. Guys still working on additional features. If You wanted good software for reasonable price this software It is created for you. Overall there is nothing to dislike. Only the limits can be a bit higher. Solving our email-automation efforts nicely.